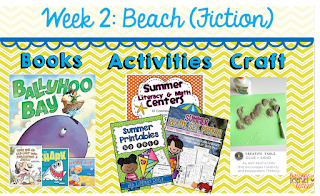 Whether you're supervising, teaching, or volunteering at Summer School, you want to provide your students with a fun and engaging few weeks of learning. 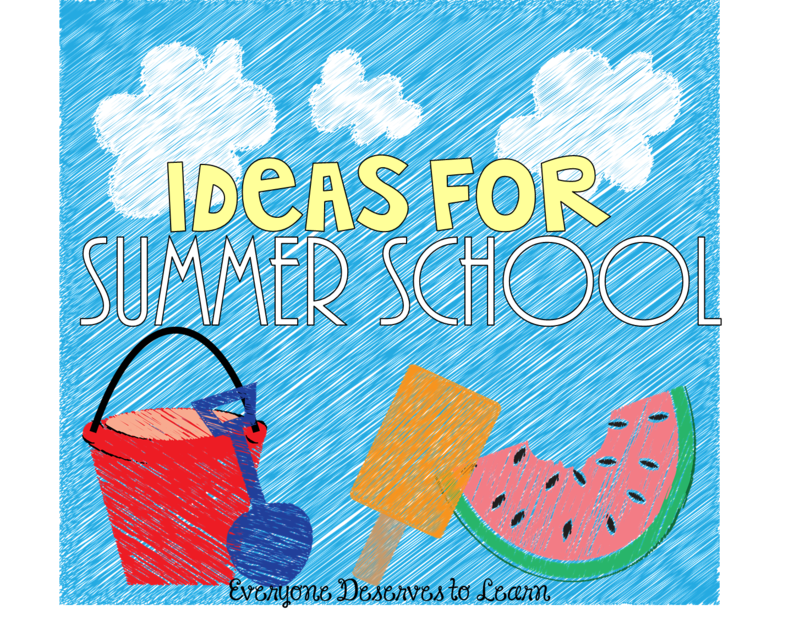 There are so many things during the school year that get overlooked due to time, curriculum, or budget constraints, but Summer School is the perfect time to fit them in. Not sure where to start? Read on! I've got lots of ideas for you. In the heat and lazy days of summer, sticking to a routine helps everyone stay on task. I'm a huge fan of morning work to get us started. Whether it's math, reading, a question of the day, or a writing prompt, having something to focus on is a smooth and efficient start to the day. 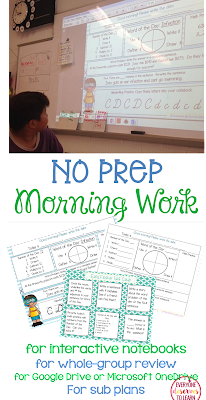 I project our morning work on our Smartboard and the kids fill in the answers in their notebooks. After our morning work is over, we check it as a group and then go over our agenda for the day. GoNoodle is a great way to get the wiggles out, especially on rainy days. It's also a great component to add to your morning routine. We always start with yoga, then move into a dance or other higher impact activity. It's just the boost some of my sweeties need after being couch potatoes at home! 3. Get your snack on! Most of the time, we asked our students to bring in snacks, but one day a week, my teaching partner and I would provide a snack that went along with our lesson. Whether it was popsicles, lemonade and cookies, s'mores or watermelon, sharing food with your students is a great way to bond. It may even be a chance to work on some table manners while you're at it! 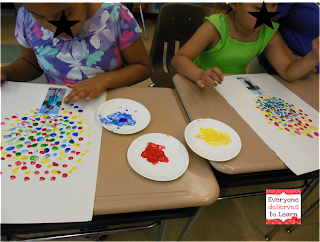 Summer school is a great time to experiment with some art mediums that the kids normally wouldn't have access to. Make some tissue paper pom poms, finger paint, or experiment with squiggle drawing. 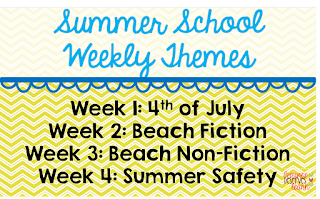 Olympics, Beach, Camping, Safety, Watersports, 4th of July...all of these topics are amazing starters for summer school themes. You can do a weekly theme or even theme your entire session. I tend to stick to summer themes, but STEM, forensics, robotics, cooking, and sports are all ways to engage your students. 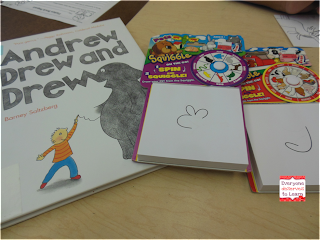 For each theme I would choose books, reading and math activities, and a craft/outdoor activity. Saw an activity on Pinterest that you want to try? Summer School! Want to experiment with flexible seating? Summer School! Need to test out some iPads for your principal? Summer School! 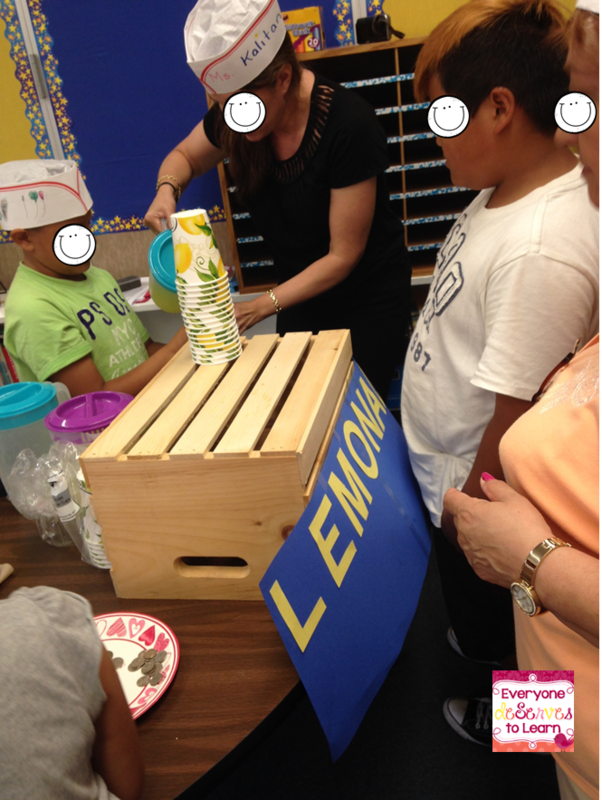 The few weeks in a summer school session are fabulous opportunities for experimentation. The expectations for curriculum and data are usually much lower, so think about something you're interested in and go for it! One year we experimented with a technology rotation that worked so well, I implemented it the first day back to school. Some students may be in Summer School because they have to be, some students may be there because they want to be, some may be there because there's no other safe place for them to go. So while you're covering curriculum points you missed or prepping for the next grade, try to find the fun in it. Do things that take your students by surprise. Hand out stickers with math facts/sight words/periodic elements on them and make them be "nametags." 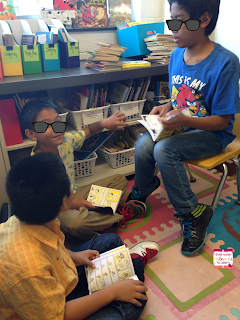 Instead of guiding the reading, give kids a scavenger hunt through the book. Make it a summer they won't forget. 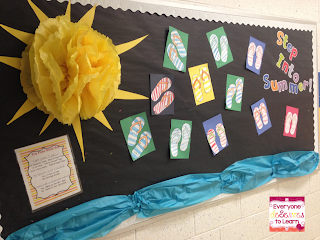 If you are teaching Summer School this year, good luck and have fun! Looking for more ideas? Check out my pinterest board! If you have the last day of school circled and highlighted on your calendar, you are not alone! There's a great sense of relief that comes with the dismissal bell on the last day. But before that last bell, there are a few things you can do to keep up morale for staff and students and ensure a smoother transition back in the fall. What a great way for students and teachers to get a glimpse of the next school year! 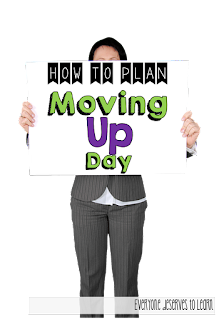 Moving Up Day is a great way to build community for all grades. It's not just for September! You can have an Open House for parents before the end of the school year to showcase what students have learned. 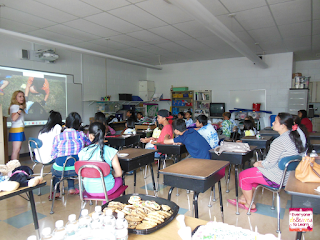 The ESL Department at my school even holds an extra Open House at the end of Summer School to keep our parents updated. This has been so valuable for our back-to-school transition! If you've got some money left in the budget, plan for few weeks of summer school. 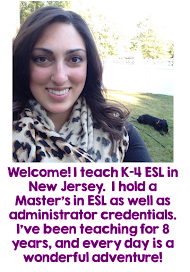 It can be for certain subgroups- ESL, Basic Skills, Sp.Ed, or for certain grades. 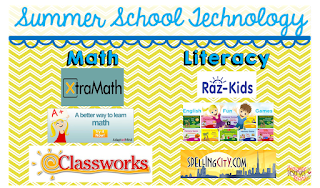 Summer school can be all new topics and themes or it can be an extended year program. I've done both versions, and some of my plans for a few different grade levels are linked, just in case you need an example. STEM, robotics, forensics, environmental studies, and book clubs are all great starting points for course offerings. If you need more hands, round up some local college education majors as volunteers- free for you and resume builders for them! What are some things you do to close out the year and prepare for the next one?